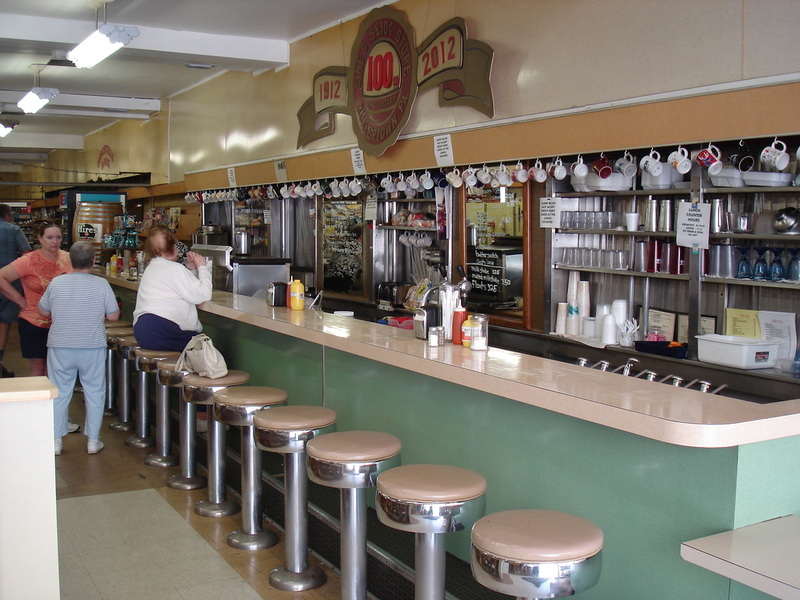 We serve breakfast and lunch, Monday through Saturday at our soda fountain. Besides our regular menu, we feature specials such as homemade soups, salads and platters. Most days we have hamburger barbecue and potato salad, our two most popular dishes. Hamburgers, cheeseburgers, hot dogs, cheese dogs, pork roll, grilled cheese and fish sandwiches are also available daily. Saturday’s menu is limited as no specials are prepared this day. Breakfast is served on Sundays between Thanksgiving and Christmas. Ice cream, milk shakes, sundaes and soda are served all day until 5:00. We sell Edy’s ice cream and our milk shakes are made with this and real milk. Check the mirror or our Facebook page for our daily menu. Come in, sit down and enjoy.